In this material world, to render service to the lotus feet of Govinda, the cause of all causes and to see him everywhere, is the only goal of life. This much alone is the ultimate goal of human life, as explained by all the revealed scriptures. 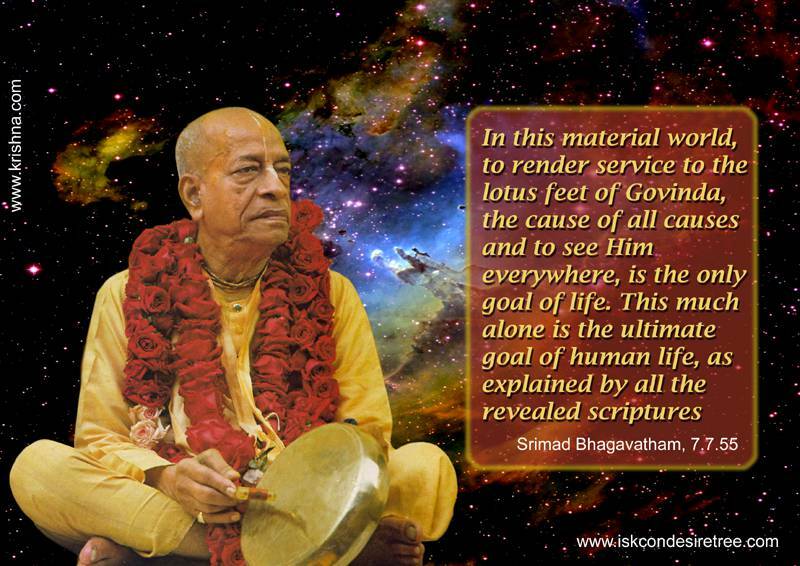 — Srimad Bhagavatam, 07.07.55. 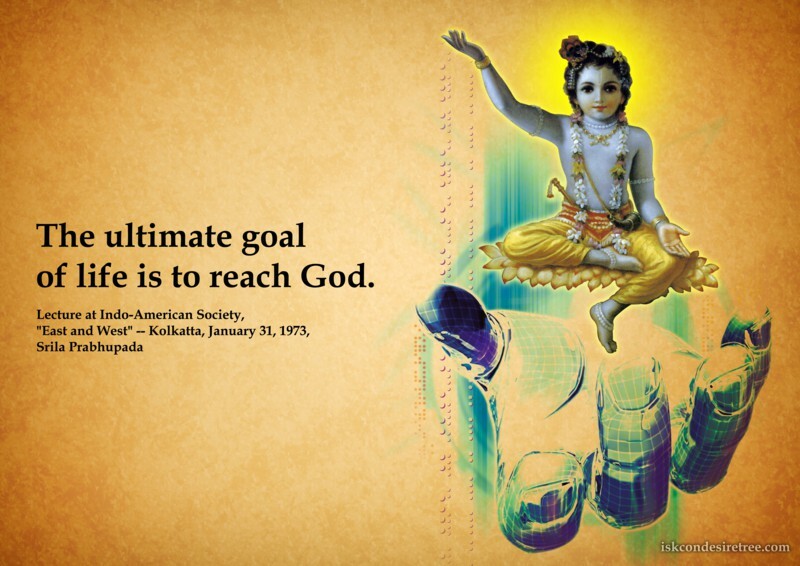 The ultimate goal of life is to reach God. By practicing yoga people try to stop the mind from thinking, but it is impossible. The goal of life is not to become unconscious but to become super- conscious. 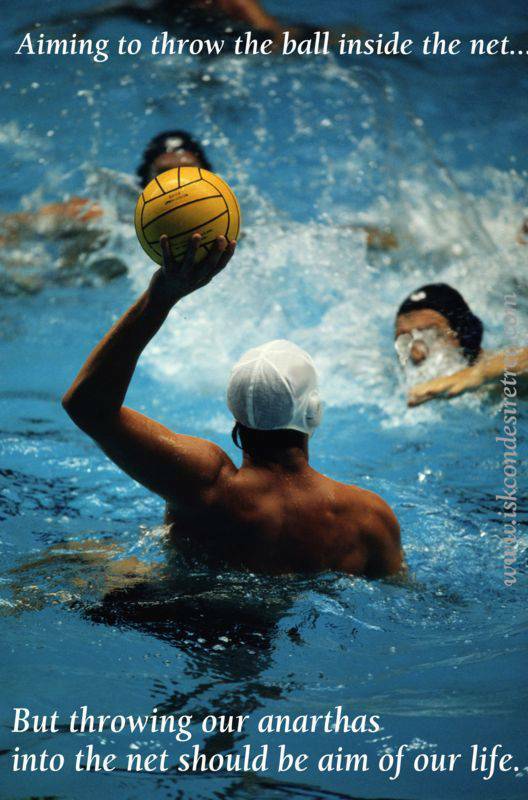 Aiming to throw the ball inside the net but throwing our anarthas into the net should be aim of our life. In Vedic literature Krishna is the central point of attraction and His service is our activity. 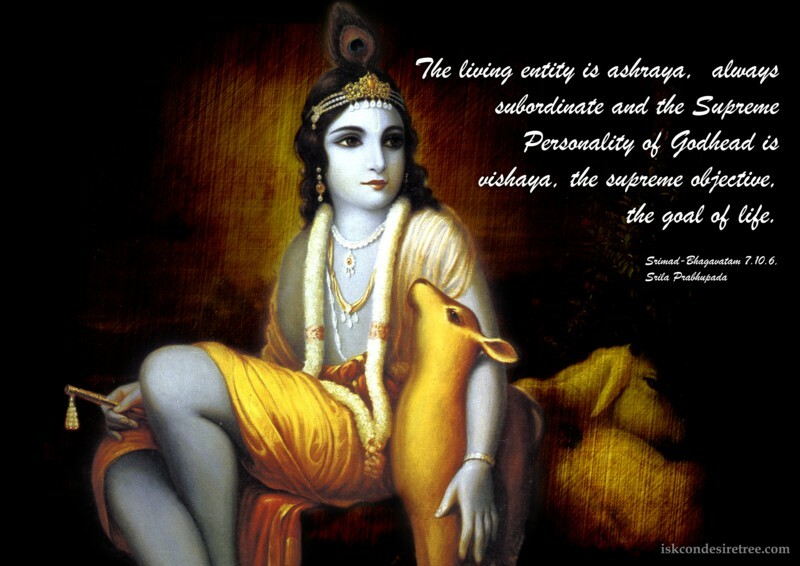 To attain the platform of love of Krishna is life's ultimate goal. Therefore Krishna, Krishna's service and love of Krishna are the three great riches of life.